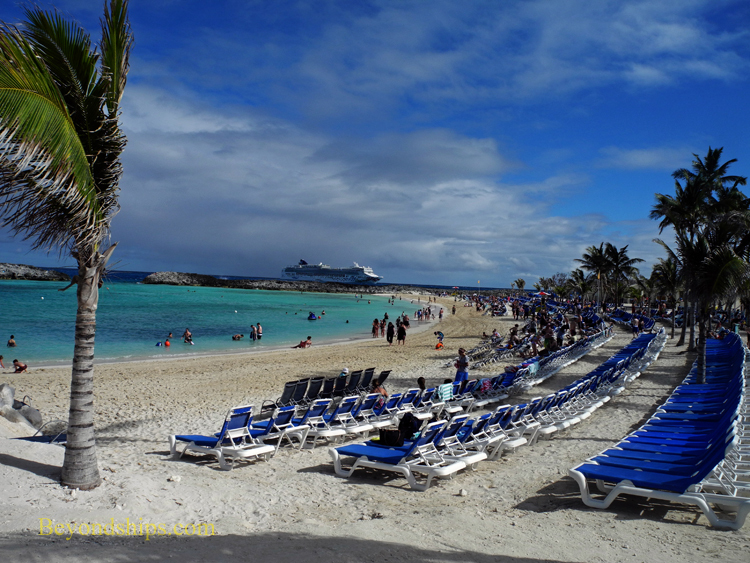 The heart of a cruise line private island is its beaches. 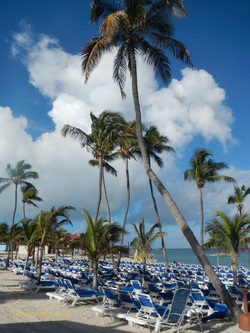 For most guests, the beaches are the focal point and everything else is an add-on. 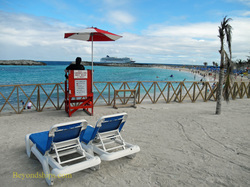 For many years, there was only one beach at Great Stirrup Cay that was open to the guests. That beach has been significantly enhanced and continues to be improved. In addition, new beaches have been developed and are being developed. (see next page). 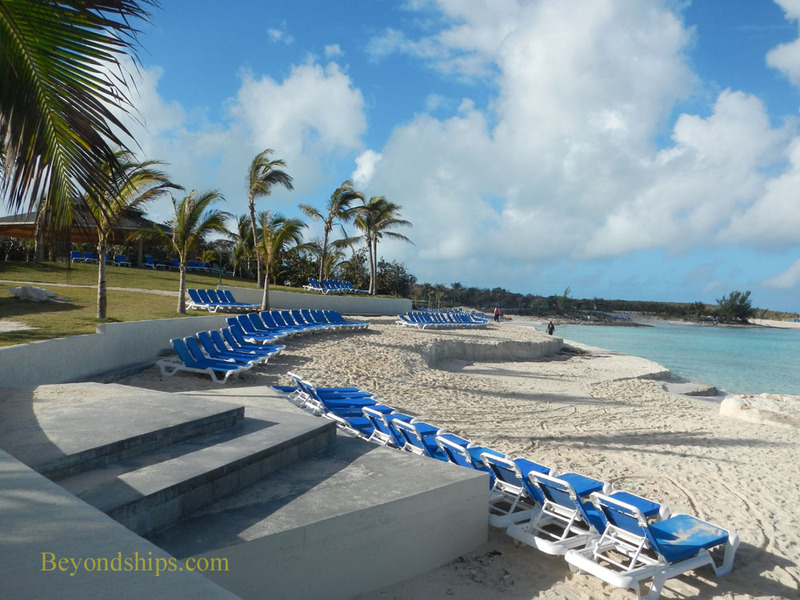 The main beach area, ﻿Bertram's Cove﻿, is in a sheltered lagoon and consists of white sand extending out into the turquoise water. beach thus making it a more pleasant experience. 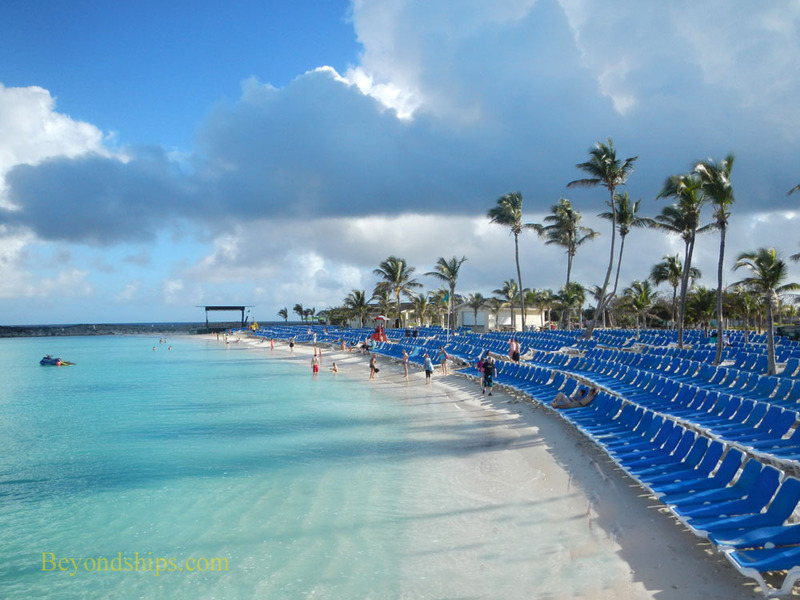 Among the facilities located near the main beach are bars, the dining pavilions, the shopping bazaar, the Hippo slide, a massage hut, a bandstand and places where guests can rent snorkeling equipment, mats and floats. 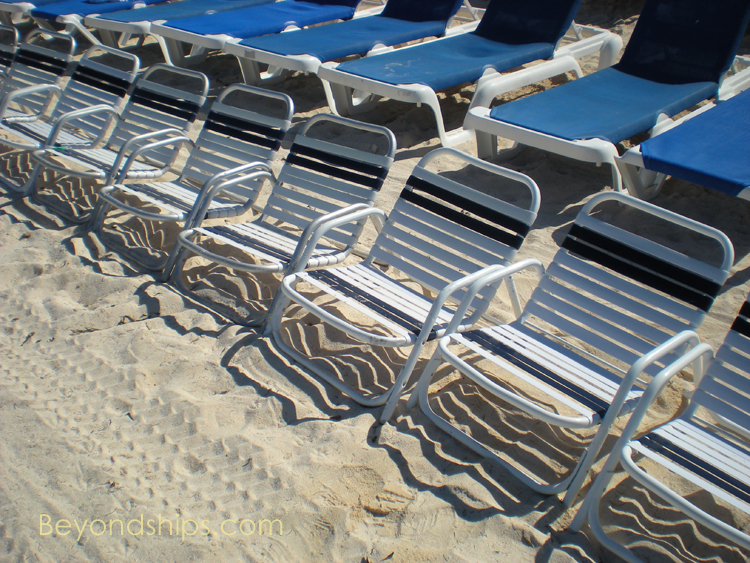 For relaxing by the beach, there are rows of ﻿deck chairs﻿. 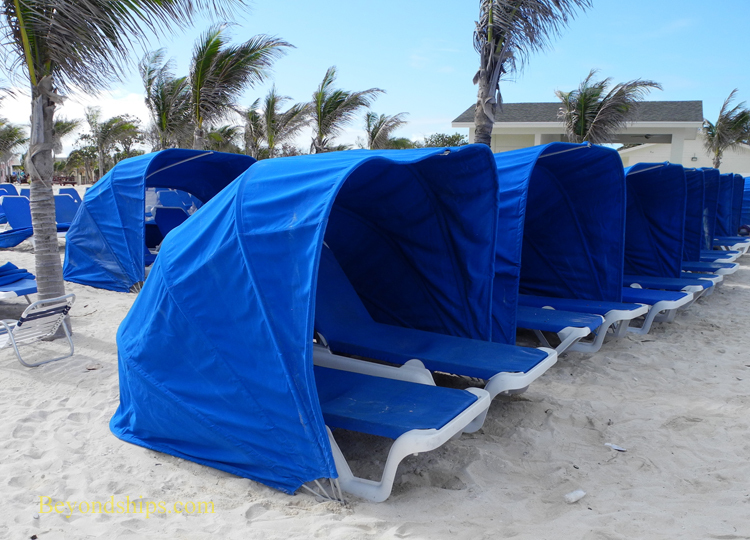 For those who do not want to be in the sun, Norwegian has available ﻿clam shell﻿ covers for an extra charge.